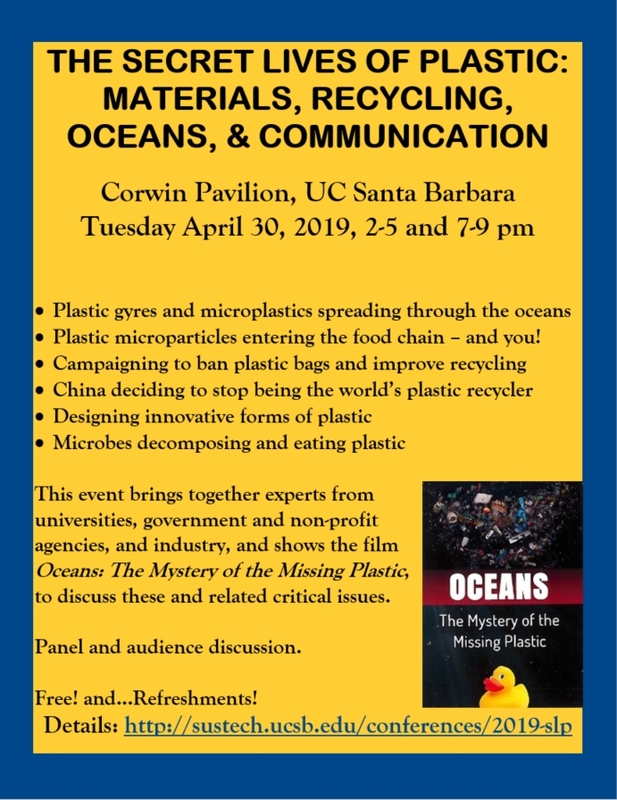 More and more people are becoming aware of plastics gyres and microplastics in the oceans, cities around the world are banning plastic bags and straws, and China has stopped accepting most of the world’s plastic for recycling. Scientists, policy-makers, municipalities, industries, and countries are struggling with the positive and negative implications of plastic. 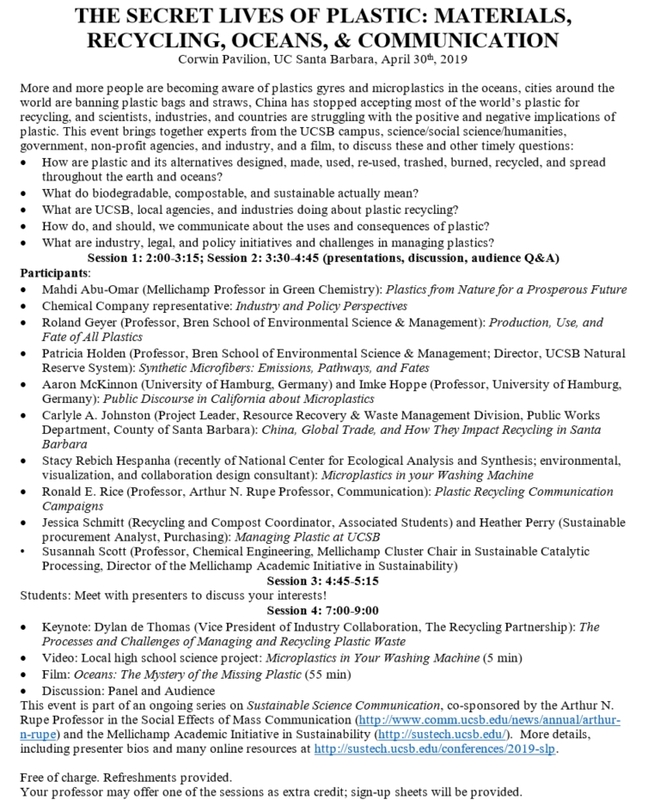 Topics include interdependencies and challenges in the life cycle of plastics, from design of materials, to uses, down- and up-recycling, energy and cost trade-offs, to pollution and ocean microplastics, sustainability, and communicating the issues. This event brings together experts from universities (administrators, science/social science/humanities professors), government, non-profit agencies, and industry, and presents a fascinating and troubling film, to discuss a variety of timely questions.